On the way to work today I was shocked to hear insults on the radio from an organization claiming to support Republican unity and encouraging listeners to thank Barbara Comstock for her vote. 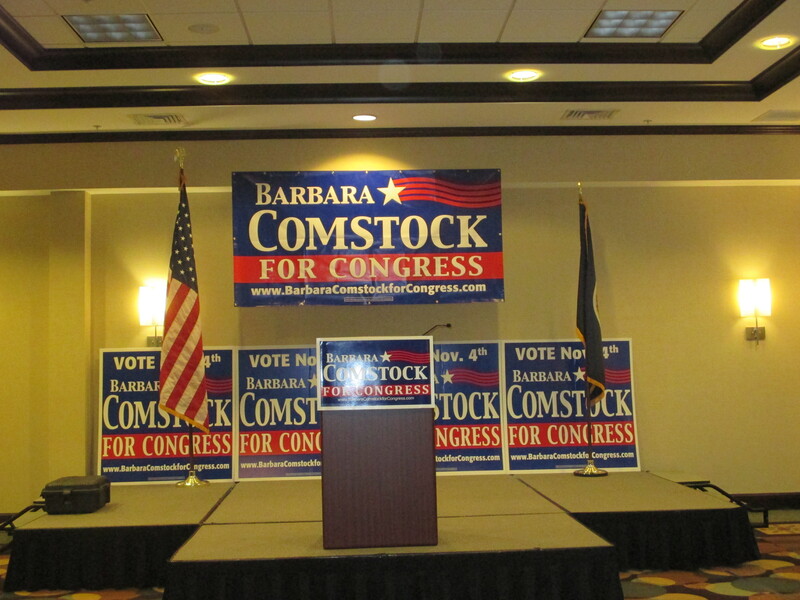 Call Congresswoman Barbara Comstock, and thank her for putting our safety above petty politics. “Bullies” and “Lies.” That’s what conservatives are reduced to. The ad ends by stating it is paid for by Main Street Advocacy. Who or what is Main Street Advocacy? Main Street Advocacy is one of a handful of organizations run by Sarah Chamberlain and Steven LaTourette that supposedly work for the benefit of main stream Republican values. REPUBLICAN MAINSTREET PARTNERSHIP PAC, a traditional PAC that gives most of its money directly to Congressional campaigns, and follows traditional PAC fundraising rules with donation limits of $5,000 per person. DEFENDING MAIN STREET SUPERPAC INC, a traditional superpac operating largely outside of campaign funding and spending rules as long as it does not directly coordinate with a candidate. Main Street Advocacy appears to simply be a spending vehicle for the superpac. unity instead of division, pragmatism instead of social dogma. It’s what conservatives have traditionally stood for – and we take pride in that heritage. Having like-minded conservatives called bullies and liars is not uniting, its not pragmatic, and it is not what conservatives have traditionally stood for. Then we get to play the money game because for the “Main Street” groups the sources of fundraising are almost comical. The superpac appears to be the vehicle for which the ads were ultimately purchased. As reported by Michele Malkin the “Main Street” groups have substantial left wing funding. She identified approximately $400,000 as coming from labor unions per a National Journal Article. But let us delve deeper. This means over 91% of the superpac funding came from labor unions. Citizens in northern Virginia are being told by unions to call Barbara Comstock and thank her for standing up against the lying bullying congressional conservatives. Perhaps now that you know the truth you can point out to your Congresswoman that you don’t appreciate shadowy left wing organizations masquerading as republicans implying that you are a bully and a liar for standing up for conservative principles. Having fallen prey to the allure of DC politics in college, Paul escaped only to make the similar judgment error of going to law school. Trained at the side of a sitting state Senator, Paul is now the owner of a law firm in Reston, Virginia. In previous years Paul built a base of support on Twitter @ppradoslaw and founded and wrote for a blog on Virginia politics and legal procedure northernvirginialawyer.blogspot.com. As a pro-life libertarian, Paul finds himself at home within the broader conservative movement, and believes in a big tent Republican Party. In May 2016 Paul was elected as Chairman of the 11th Congressional District Republican Committee. Paul resides in western Fairfax County with his wife and children.